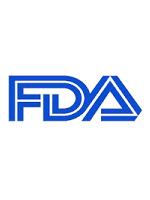 The U.S. Food and Drug Administration today approved Netspot, the first kit for the preparation of gallium Ga 68 dotatate injection, a radioactive diagnostic agent for positron emission tomography (PET) imaging. This radioactive probe will help locate tumors in adult and pediatric patients with the rare condition, somatostatin receptor positive neuroendocrine tumors (NETs). NETs are rare noncancerous (benign) or cancerous (malignant) tumors that develop in the hormone-producing cells of the body’s neuroendocrine system. These cells are found throughout the body in organs, such as the stomach, intestines, pancreas, lungs and other locations. NETs have receptors for somatostatin, a hormone that regulates the endocrine system. Ga 68 dotatate, a positron emitting analogue of somatostatin, works by binding to such receptors. Netspot is supplied as a sterile, single-dose kit for preparation of Ga 68 dotatate injection for intravenous use. The uptake of Ga 68 dotatate reflects the level of somatostatin receptor density in NETs. This uptake can also be seen in a variety of other tumor types or other pathologic conditions, or might occur as a normal variant. The uptake of Ga 68 dotatate may need to be confirmed by histopathology or other assessments. Three studies established the safety and effectiveness of Netspot. The first compared Ga 68 dotatate images of NETs to images obtained with an approved drug, and then confirmed with computed tomography (CT) and/ or magnetic resonance imaging (MRI); the second evaluated Ga 68 dotatate images using histopathology (the study of tissue changes caused by disease), or clinical follow up as reference standards; and the third evaluated patients with NET recurrence using Ga 68 dotatate images. The results of all three studies confirmed the usefulness of Ga 68 dotatate images in finding the location of the neuroendocrine tumors. Netspot contributes to overall long-term cumulative radiation exposure, and patients should drink and urinate as often as possible during the first hours following administration to help reduce this risk. No serious adverse reactions have been identified. The FDA granted Priority Review and orphan drug designations for Netspot. Priority review status is granted to applications for drugs that, if approved, would be a significant improvement in safety or effectiveness in the treatment of a serious condition. Orphan drug designation provides incentives such as tax credits, user fee waivers, and eligibility for orphan drug exclusivity to assist and encourage the development of drugs for rare diseases. Netspot is marketed by Advanced Accelerator Applications USA, Inc.